Just a while ago, I read facebook update from one of my friends who is reporter from well-known journal in Myanmar. Right now, she is attending ASEAN Summit at Bali, Indonesia. ASEAN Summit this year is quite popular as of Myanmar has proposed itself to be Chair of ASEAN in 2014. Not only within region, but also the whole world is keeping an eye on Myanmar whether is there true changes leading to national reconciliation and political reconstruction to democratization. 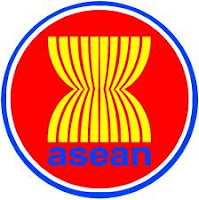 Today, there is the meeting of foreign ministers from ASEAN countries, it was agreed for Myanmar to be named as Chair of ASEAN 2014. It is really a great news and a lot of people are also waiting for this news long time ago. After getting agreement to be ASEAN Chair 2014, then Myanmar has to start preparing for all the necessities to be able to hold general meetings and several other activities in terms of responsibilities of ASEAN Chair. Positively, it will be creating several employment opportunities for local talents and progress in terms of business development will be followed. Therefore, it is like a notice for local talents to get prepared for upcoming business opportunities. For the time being, I would like to note today as a day of happiness with regards of hearing this news. quality writing, it’s rare to see a nice blog like this one nowadays..
information here. I’m sending it to some friends ans also sharing in delicious. some stories/information. I know my readers would appreciate your work. in the beginning, did not settle well with me personally after some time. while. I nevertheless have a problem with your jumps in assumptions and you would do nicely to help fill in all those gaps. undeniably be one of the best in its niche. Excellent blog!